Kate Dunagan joined the teaching staff this year as the jewelry instructor. She grew up in Pilot Rock, a small town in eastern Oregon. After graduation, Dunagan immediately left her town to attend the University of Oregon and the Art Institution in Seattle. Following college, she worked in several jewelry studios. Dunagan also volunteered at Chautauqua Elementary School and the high school while her children were in attendance within the district. While there, Dunagan quickly discovered her love for the school environment. When the previous jewelry teacher Gillian Simmons took a year off for maternity leave, Dunagan leapt at the chance to follow her passion. Dunagan takes pride in the practicality of her class, describing herself as a hands-on teacher. “This class is all about getting your hands dirty and making things with your hands and transferring the ideas that are [in] your brain into … objects,” Dunagan said. 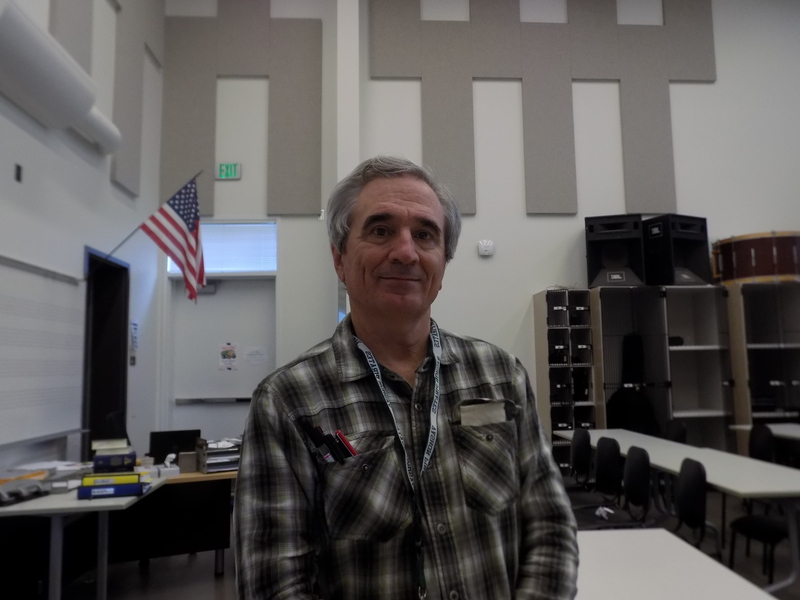 Last school year, at the end of the first semester, longtime math teacher Stephen Sears retired, leaving an open position in the department. Rather than immediately rush to find to a new instructor, the district began searching for someone to take over at the beginning of the 2018-2019 school year. 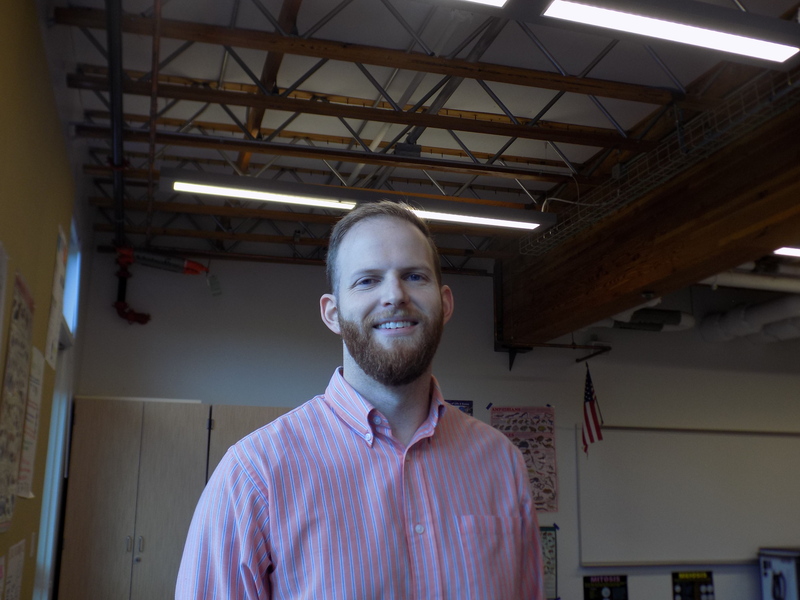 After looking at several candidates, they hired Warren Maierhofer, who now teaches geometry and calculus. Maierhofer was born and raised in Aurora, Colorado. During high school, he wrestled, played football, and ran track. After graduation, Maierhofer studied chemical engineering at the Colorado School of Mines. He pursued the subject as a career and spent the next 30 years as an engineer. Fifteen years ago, Maierhofer’s love for the Northwest’s climate led him to Vashon. During this time, he has developed a strong, positive impression of the island. 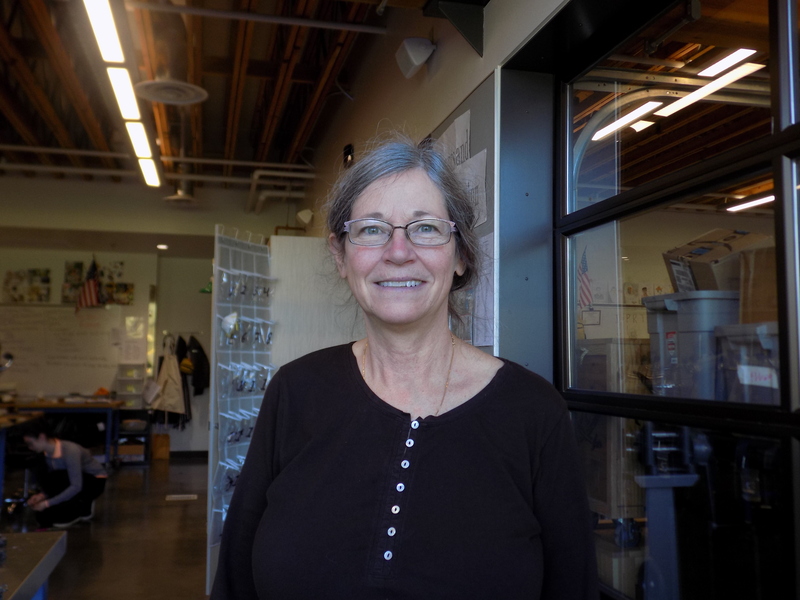 “I think [Vashon] is a very talented community and a hub of great thinkers,” Maierhofer said. Now, Maierhofer wants to contribute to his community. Maierhofer describes his teaching style as casual. However, it is crucial to Maierhofer that his students respect one another. “[I want to] give everybody the chance to have a voice in the classroom,” he said. Beth Solan is the high school’s newest special education teacher. She grew up in the suburbs of San Diego, California. Throughout high school, Solan participated in soccer water polo, and the swim team. After graduation, she enrolled at University of California, Santa Barbara. Solan then did her graduate studies at the University of Washington and worked at an assortment of different jobs. One such occupation entailed working in a middle school science classroom, where she discovered her interest in special education. 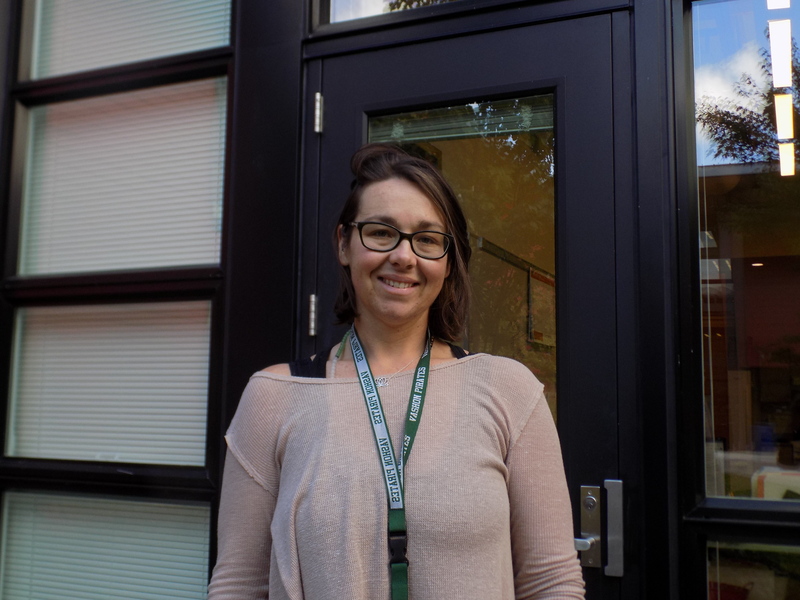 Solan decided to teach on Vashon because she liked the island’s emphasis on inclusion, especially for students in special education programs. “[Vashon has] a very tolerant and accepting vibe,” Solan said. She considers herself to be a straightforward and direct person, but she also wants to keep her classroom’s atmosphere considerate and kind. The new Japanese teacher, Fred Harriman, was born and raised in Buffalo, New York. After his high school graduation, he attended Dartmouth College, New Hampshire and eventually began teaching at his old high school. There, he learned of a job opening for an English teacher at a school in Japan, and decided to take it. He later met his wife there and gained a strong understanding of Japanese culture. Harriman eventually became a professional translator and interpreter, which greatly contributed to his degree of skill and fluency in the language. “That is what helped me learn Japanese more than anything else,” Harriman said. However, the Harrimans wanted their children to be educated in the US, which prompted their move to Nevada in 1994. In 2015, he and his wife chose Vashon as their new home due to its proximity to their daughters, who currently live in Seattle. Harriman also loved the island’s tight-knit community. In his classes, it’s important for the students to be quiet and focused, which helps them memorize Japanese characters and grammar rules. It also helps to accommodate Harriman’s hearing disability. He describes himself and his classes as old-school, due to their formality and heavy emphasis on writing. 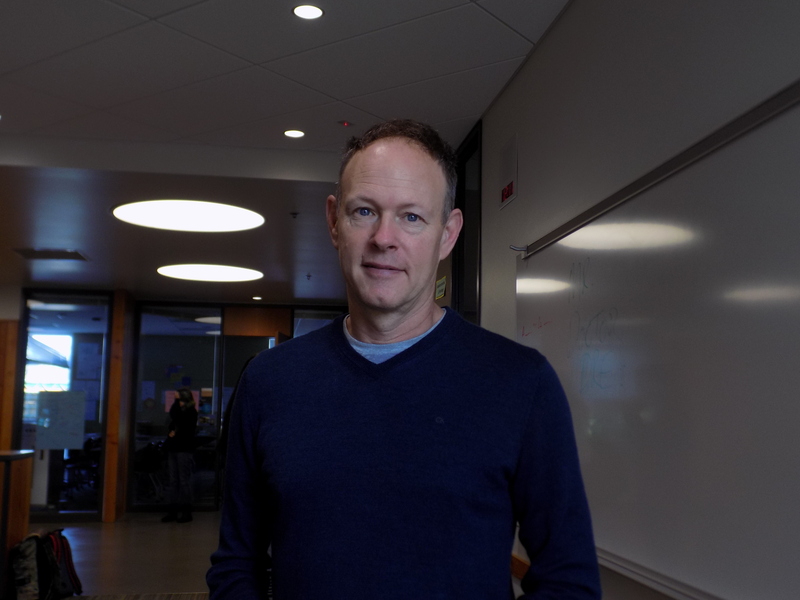 “[My rules] … give the students the chance to feel like a Japanese student,” Harriman said. Nathan Gwinn came to the high school following the departure of teacher Melissa Kehl, and now instructs both biology and anatomy and physiology. He grew up in Nashville, Tennessee and attended the Western Kentucky University and the Lipscomb University. Gwinn’s life took a less traditional path after completing his education. He worked in many different job fields before beginning to teach when he was 27. Since then, he has worked at four different schools. Gwinn’s attraction to teaching lies in his past, beginning with his mother’s career as a teacher. Gwinn also had a largely negative experience with the schools in his district, which inspired him to help improve teaching as a whole. “You don’t make [the schools] any better if you just complain about [them],” Gwinn said. Gwinn also believes that the job is beneficial for his character. Teaching, according to Gwinn, has influenced his personal life as well as his professional one. Gwinn decided to teach on Vashon in order to shorten his daily commute. He also likes that the Vashon community is passionate about education. As a teacher, it’s important for Gwinn to be supportive for his students.